I love anything pertaining to arts, crafts and floral. I’m a Production Graphic Designer, wife, mom and aspiring artist! I’m originally from Biloxi, Mississippi (a city 1 hour east of New Orleans) and currently living in the Dallas, TX area with my hubby and rambunctious pre-schooler. 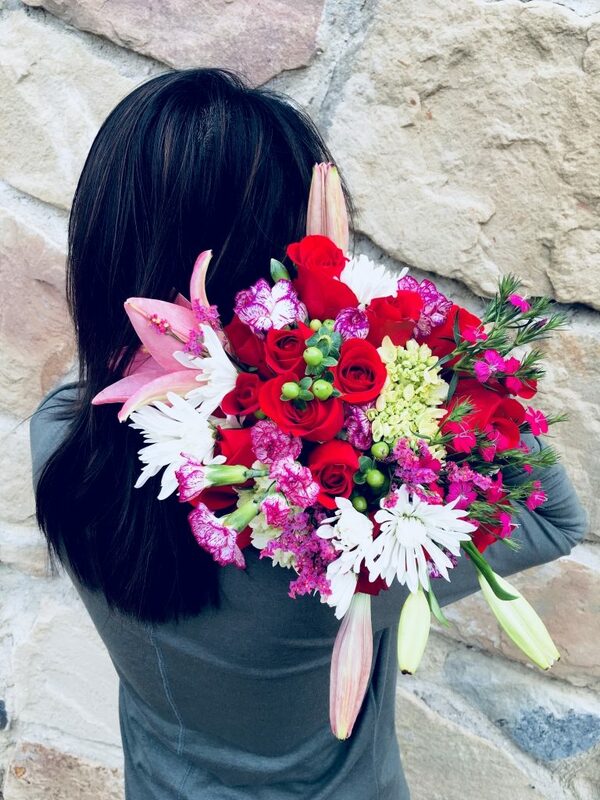 I’m not a professional floral designer but just your average Jane Doe with a passion to take grocery stores flowers and make them look awesome! I started this blog in order to share my ideas in floral and craft for anyone with a little DIY spirit. I would love to hear your feedbacks on using new techniques and designs. If I could describe myself in one sentence… I’m pint size with a big punch! For years, I walk frequently pass the floral department at my local grocery store staring endlessly at their beautiful flowers with 1 dozen of roses selling for $10. Then it hit me one day! I can make a gorgeous and chic flower arrangement for around $20! All I needed was some creativity and a vision. Originally named Frugal Flower Design since my theme was making flower arrangements on a budget. After almost 2 years as Frugal Flower Design, I decided that I wanted a new name that was elegant while still highlighting my love for flower design on a dime. From there Rose Chic Flowers was born! The word Rose was chosen because roses are my primary focal point flowers used within most of my arrangements. ATTENTION Grammar Police… Yes, there are lots of grammatical errors within my blog. I’m an artist not a copywriter. This blog is about flower design ideas, and not about writing articles for the Washington Post. If my misuse of the English language offends you then please exit my blog immediately in order to avoid further damage to your judgmental soul!